Over the next 12 months, Square Enix will go navigate one of the most fertile periods in its recent history. Unforeseen delays and release date snafus notwithstanding, the company will publish as enviable a collection of games as you'll find anywhere: Crystal Dynamics' Rise of the Tomb Raider will be out in November, Avalanche Studios' Just Cause 3 will follow on December 1, IO Interactive's fascinating new spin on Hitman goes live less than a fortnight later, and Eidos Montreal's Deus Ex: Mankind Divided promises a strong finish on February 23. AAA productions, big franchises, talented teams. And it's about time. To find the last period that Square Enix so capably served the console markets in Europe and North America you need to go back three years, when Sleeping Dogs, Hitman: Absolution and Tomb Raider all launched in the space of seven months. The relaunch of Final Fantasy XIV aside, the 2.5 year gap between March 2013 and November 2015 yielded just one release on a similar scale: Eidos Montreal's Thief in February 2014. For a company that reports its results quarterly and annually, it's a curious dearth of AAA console games. "Big games have big expectations. We know that the investments that we're making are large"
In hunting around for an explanation, it's difficult to overlook the relative success of that first group. Sleeping Dogs did solid business, but the company has acknowledged that Absolution struggled at market, while Tomb Raider's first month haul of 3.4 million units still didn't hit its sales target. Phil Rogers, CEO of Square Enix Europe, needs no introduction to these stories, and yet he has a different perspective on the period that reports at the time didn't represent. "We had big hope [for their success]. We work with big ambitions," he says. "But if we look back at the market it was in an interesting place. The market today is more confident. The new generation of machines have installed well, and I think consumers have more confidence. "All of those games were successful in the end. What we learned - and it seems obvious when you look back - is that digital has grown for every business, It's something that people underestimated until they could see the results, and see what digital actually offers. "Big games have big expectations. We know that the investments that we're making are large, and it's a job to manage that well. But we've learned from that experience, over the lifetime of a product, is that things can work out well. Tomb Raider exemplifies what Rogers is describing. Whatever was thought and said about its debut month, Crystal Dynamics' game was in profit in less than a year, and had sold more than 8.5 million units as of April this year. Rogers' language when discussing this point is careful, studied, but the impression is that Square Enix expected a bit more right out of the gate, but far less in the long-term. "Within 'N' months we had really caught up," he says, declining to give an exact timeframe on the turnaround. "It used to be that there was a big spike and it tailed off pretty quickly. Now there's continued engagement, and with word of mouth we saw a great tail evolve." "We still have hundreds of thousands of gamers every month, unique gamers, in the Just Cause 2 world"
Another example Rogers mentioned dates back even further than Tomb Raider, an under-the-radar success story with a significance that even Square Enix didn't notice at first. Just Cause 2, first released in March 2010, has enjoyed an extraordinary half-life, made possible by the chaos and theatre of Avalanche Studios' sandbox, but really driven forward by the enthusiasm and invention of its fans. 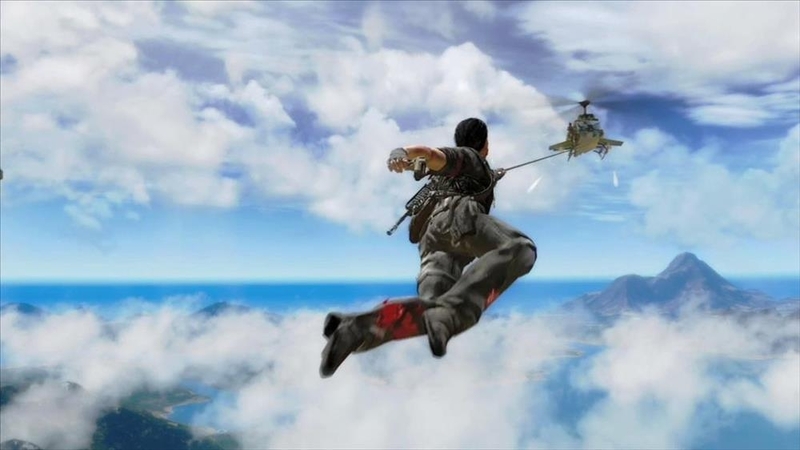 "Just Cause 2 was a small launch for us, but it sort of went viral," Roger says. "From that initial launch to the total number of people who've played it, it's an order of magnitude different. We still have hundreds of thousands of gamers - I'm fascinated by this - every month, unique gamers, in the Just Cause 2 world. It's now more than five years old. But they're still having fun. "With the continuing acceptance of digital, we can add downloadable content, we can support mods, just as we did with Just Cause 2." One game, in particular, demonstrates the growing will within Square Enix to fully embrace what the digital world can bring to the AAA console game. A digital product will be released this year, effectively a starting point for a live experience that will grow and change over time, much of its already planned by the team at IO, but with plenty of scope for parameters and features to change based on the behaviour and response of the players. There will be a mixture of single and multiplayer experiences, of canonical and spontaneous events, with a scripted story and an evolving metagame. From a business perspective, it sounds rather a lot like an Early Access game, and I say as much, but Rogers wants to draw a distinction between the two concepts. 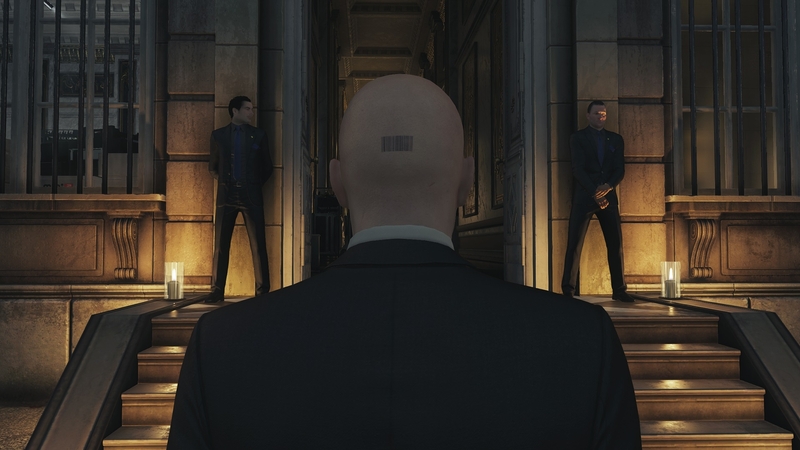 IO's Hitman will receive a full release. The inclusive development process and elongated lifecycle is about playing the lessons of the last few years, in a franchise that is unique in how well it accommodate such flexibility. "It's game first," Rogers says. "We want to keep the business model very simple. There's going to be one price, so we're not talking micro-transactions, and it allows us to evolve the content itself... Gamers don't want unfinished content, so we're being very clear. This is going to be AAA, polished - Hitman as you'd expect. But we can continue to create experiences, so the world only expands. We're experimenting. "To use Just Cause 2 again as an example, we left that world from a production standpoint three months before we shipped the game, and yet consumers have spent the next five years in that world. If we'd continued to evolve that world for consumers we think they would have enjoyed it. "We don't annualise our franchises. Two to three years between games is about right"
"That works very well for Hitman, that world and that gameplay in particular. But for all of our games we're looking for ways to expand and to get more content to consumers. If there's stuff we can share and ideas to bring across, we could use them in different games." In the future, then, the lulls in the pattern of AAA releases won't necessarily disappear, but the perception of when a single game experience begins and ends will be very different. For a company like Square Enix, Rogers says, exploring that path is vastly preferable to a Just Cause game every 18 months. "We believe that each game has a natural cadence. We don't have a studio of 1000 people where everyone can focus on one thing. We've taken the smarts from that season of releases and thought about how to take this forward now, and this is almost just a natural pattern that we're on. We don't annualise our franchises. Two to three years between games is about right. "In some ways it's like a natural order. It's how we like to work."